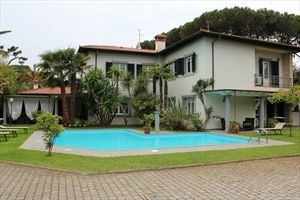 Majestic estate for rent in Tuscany country style located in a green suburb of Forte dei Marmi. 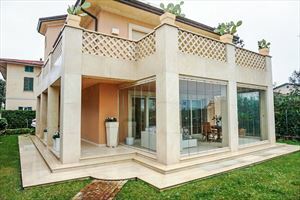 Luxury property is expanded in the middle of an amusing green park (10.000m.q.) where different kinds of trees are mixed with lavanda roses plants. 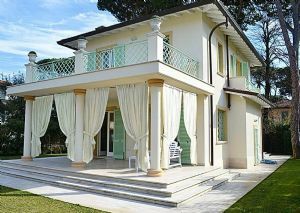 The estate is composed by two villas. 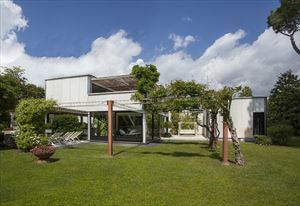 The main villa is built on three levels, defined by tuscany stone walls, timber wooden ceilings, parquet floors. 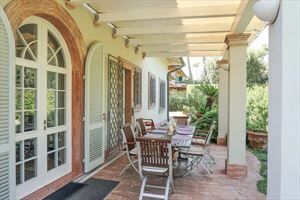 On the ground floor: main entrance,dining room, charming kitchen in occitan style, large relaxing room, bathroom, laudry. 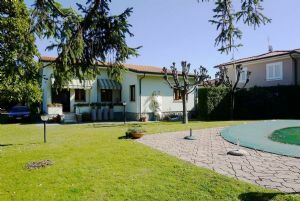 On the first floor:2 queen bedrooms with 1 pregious bathroom with jacuzzi tube.On the penthouse :2 double bedrooms,1 bathroom with shower. 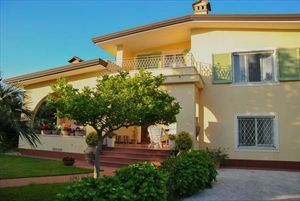 The second small villa,is advanced in a relaxing room,kitchen with table,1 double bedroom,1 double with single beds,2 bathrooms with shower. The total estate is controlled by an alarm system,automatic gates,and private parking.